When prospective clients meet with an attorney for a Free Consultation at LEWIS & DICKSTEIN, P.L.L.C. 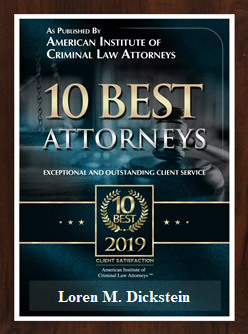 on a Macomb County misdemeanor or felony charge, they frequently ask, “who is the best Macomb County lawyer?” or “who is the most experienced Macomb County lawyer?” The opinion of who is the “greatest” or “best” is subjective and opinions will differ. The fact is that only you can decide who the right attorney is for you. The best way to make that determination is to personally meet with any lawyer you are considering for your case. Many Macomb County lawyers may feel they are the best or claim they are the most experienced but their track record and reputation does not support that opinion. When a client hires LEWIS & DICKSTEIN, P.L.L.C. on a charge or accusation in Macomb County, we do everything humanly possible to achieve a dismissal of the charges or, if that is not possible, achieve the best possible outcome. We know that the consequences of a criminal conviction can be devastating to you and your family and we will leave no stone unturned in helping you avoid jail and even a conviction when possible. We pride ourselves on provides customer service that is unparalleled in Macomb County. 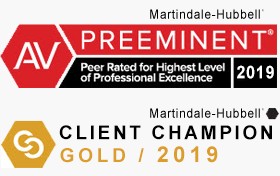 We take the time to compassionately listen to our clients, understand their challenges and then develop strategies for obtaining the best possible outcomes. Our reviews speak for themselves and are earned by hard work, innovative defense work and tireless, zealous representation. We offer free consultations to anyone who has a charge in Macomb County or is accused of committing a crime in Macomb County. Call us at (248) 263-6800 and ask to speak to a criminal law specialist. Please complete a Request for Assistance Form and a seriously experienced criminal defense lawyer in Macomb County will promptly contact you.